In today’s landscape of Manhattan real estate, it’s all about price. And increasingly, that doesn’t just mean the sale price of an apartment. More than ever before, potential buyers are focused on condominium common charges and co-op maintenance fees, brokers say, to the point that high monthly costs are now a major deterrent to buyers. In response, sellers — individuals and developers — are offering to pay years of maintenance, common charges or real estate taxes for their buyers. “People are really looking at that monthly nut carefully, now more than ever,” said Tom Postilio, a managing director at Core Group Marketing. scary that [the listing] is getting no calls,” he said. more years of maintenance, common charges or taxes. In recent years, when jobs were plentiful and hefty bonus checks were virtually guaranteed, buyers seemed happy to pay high monthly fees in exchange for amenities like squash courts, spas and rock climbing walls. That’s no longer the case. Some developers are responding to market conditions with maintenance incentives. Core’s Postilio saw such a strategy work well at 246 West 17th Street, a 17th Street Development NY Corp. development his company is marketing, where the top floors of the building have a 421-a tax abatement, but the lower floors, which were built earlier, do not. As a result, a buyer of 1,208-square-foot one bedroom on the first floor would pay yearly taxes of $1,977, while a slightly smaller one-bedroom on the eighth floor carries taxes of $43, according to Streeteasy.com. Understandably, the units with the tax abatement sold faster than those without it, Postilio said. “The units that remain are the ones that didn’t have the tax abatement,” he said, prompting the sponsor to reduce the prices of the remaining units by the amount owners of units on the lower floors would pay in taxes during the period of the abatement. This kind of arrangement works well because it’s often not a huge amount of money for the seller, but buyers breathe easier knowing that their payments will be lower each month. “It’s a way of making the buyer feel more comfortable with a higher-maintenance building,” said Paul Purcell, a partner at real estate consultancy Braddock + Purcell and co-founder of the New York City branch of Charles Rutenberg Realty. 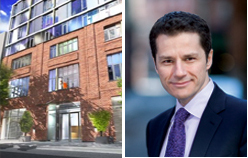 Braddock + Purcell recently consulted on a listing for a $995,000 two-bedroom co-op at 151 East 83rd Street where the seller is offering a “maintenance reduction” of $50,000, to be paid in increments of $10,000 over five years, he said. Monthly maintenance on the home is $1,405, according to Streeteasy.com. Tanenbaum added that today’s price-sensitive buyers prefer low maintenance over amenities like a gym or a swimming pool. That’s especially true now that buyers are worried about job security. While outside pet grooming services or spin classes can be canceled if the buyer loses a job, a building’s monthly fees aren’t negotiable. In fact, they’ll likely increase over time. This phenomenon sometimes even extends to doormen and elevators. Young buyers in particular, accustomed to the relative safety of post-Giuliani streets, don’t seem to mind giving up those features if it is a better deal when they go from renting to owning, Tanenbaum said.